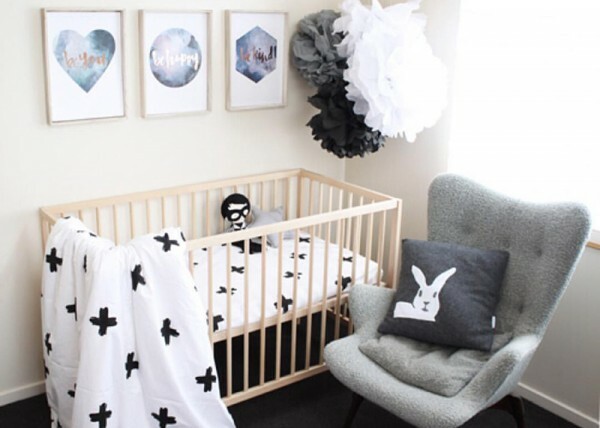 Beds and cots are often the centrepiece of a child’s room. Whether your little one is graduating from a cot to a big kid bed or you’re prepping the nursery for your new addition, we think we may have found something that will tickle your fancy. 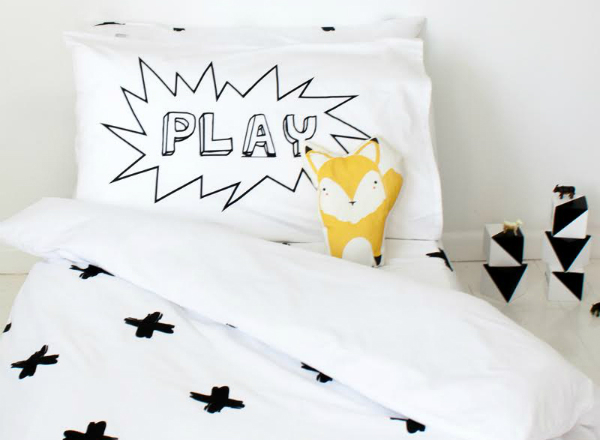 We’ve been swept off our feet here at Babyology by the gorgeous and super stunning bedding for kids from Burrow & Be. With patterns and prints that are stylish and sleek, Burrow&Be will have you covered for all your children’s bedding needs. 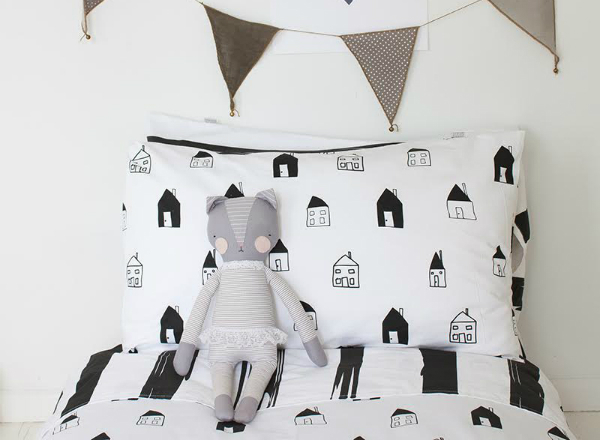 Inspired by her two children, graphic designer Catherine Mello created Burrow & Be in 2013. She designs and mainly hand screenprints all products from her studio in New Zealand, using only non toxic water based inks and materials that are 100 percent cotton. Burrow & Be have six amazing collections, each super cute and stylish, and you may be left wanting them all. They also have a range of baby blankets, soft furnishings and interior products. The What Became Of A Rainy Day collection has to be my favourite, with paper planes, little club houses and images bringing about memories of wet days spent cuddled up indoors. The collection is topped off with canvas storage sacks, throw cushions and soft cotton jersey blankets. 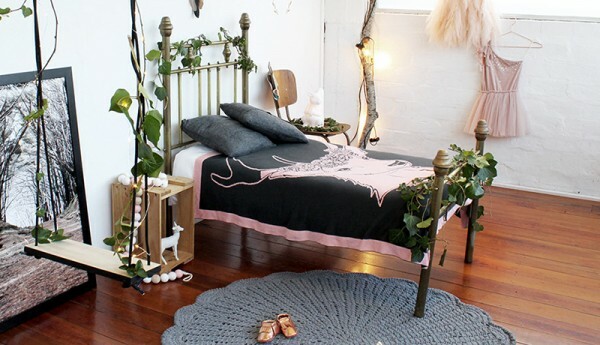 In particular, from this collection I’m head over heels in love with the Club House duvet cover and pillow case. It’s a fun and playful, gender neutral print, covered in little club houses that add flair in a stylish and elegant way. The Club House set is available in cot size for $99, single for $160 and king single for $190. You can go online to look through the rest of their gorgeous collections and buy directly from Burrow & Be.